You will be confident to make a strong style statement with this semi-stitched santoon satin lehenga in grey prettified with resham, zari, stone and patch border work. Available with a semi-stitched net kameez, a net dupatta in grey and a grey. Kameez crafted in round neck and half sleeve. 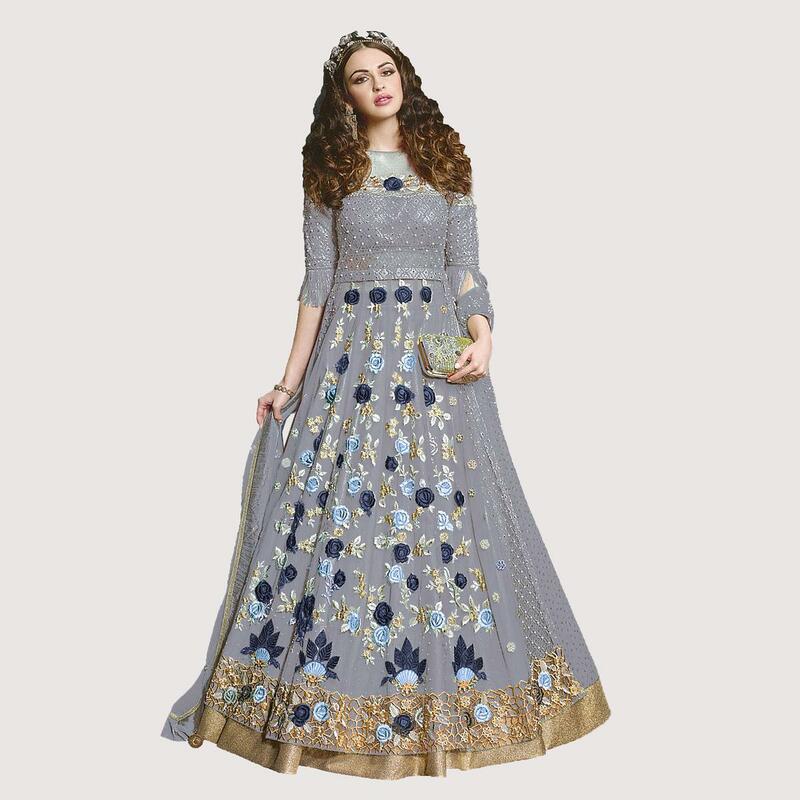 You can buy this ethnic dress to wear for the upcoming wedding functions, engagement ceremonies and special occasions. Team it with ethnic accessories to make your looks more beautiful. Length Waist upto 42 - 44 inches and length upto 42 - 44 inches.